Ladies, how important are the details of your attire? 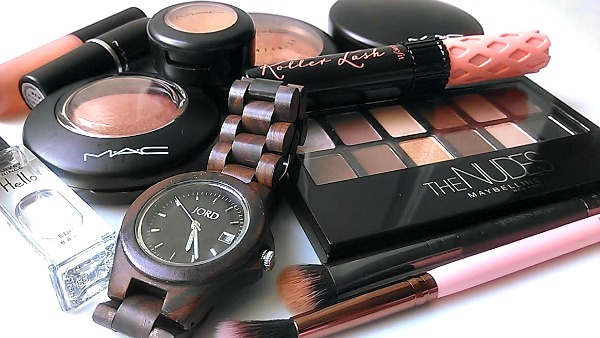 How often do you carefully select accessories for your wardrobe? While I like to keep my wardrobe choices simple and functional, I like to add “personality” to my look with unique pieces. I employ this idea with my choice of hairstyles, cosmetics, nail designs, and the accessories that bring together my look. Besides, choosing fun accessories make for the greatest conversation-starters while you’re out and about, right? 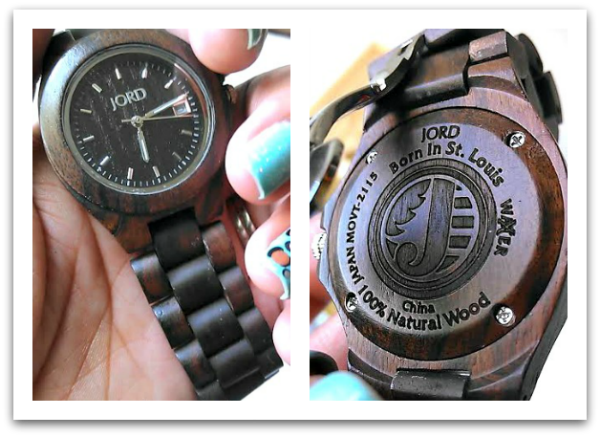 So when I was contacted by JORD to review one of their wood watches, I was excited! 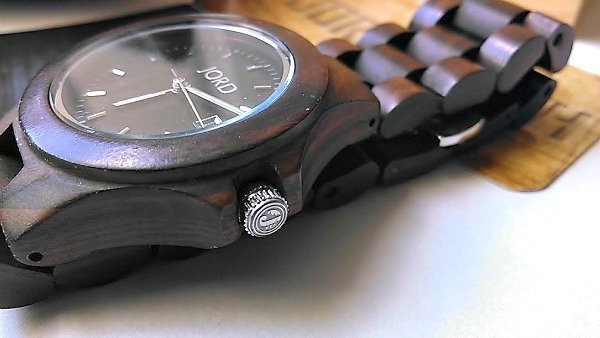 I’d never owned a wooden watch and was intrigued by how it would fit my everyday style. 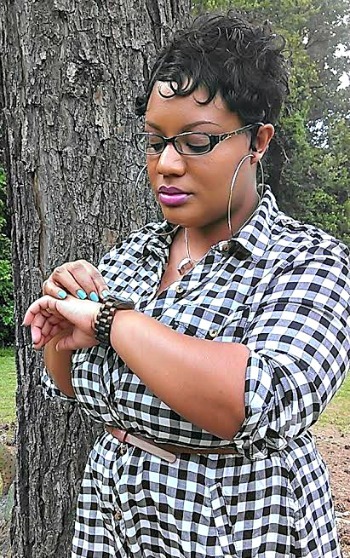 As I marveled over the watches on the site, I chose Ely Black for my review. As I waited for my watch to arrive, I wondered about its quality. Would it fit perfectly (as I was asked my precise measurements while ordering)? Would it look bulky and masculine on my small, dainty wrist? Would it fit my lifestyle? I was more than ecstatic with my choice upon delivery. I was so impressed with the quality! Not only is the watch lightweight, it is crafted to perfection! Each detail, from the polished face to the carved symbol on the back and dial, adds to the distinction of the watch. Not to mention the watch is splash-resistant and sustainable. I must say, it’s nice to have a beautiful timepiece that’s still uncommon (who doesn’t like to feel like they’re rocking the “new-new”?) AND eco-friendly. 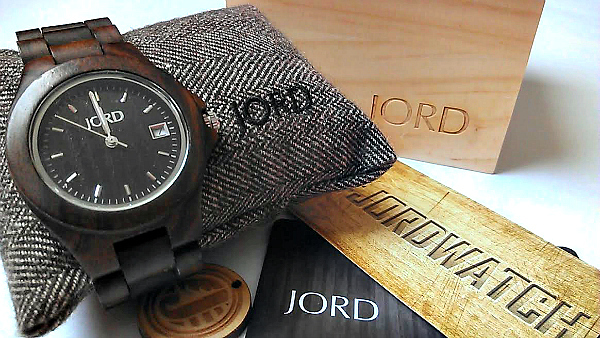 Overall, I am happy with my JORD watch and would totally recommend it to everyone who is a fan of unique timepieces. They have many options to fit your personality and lifestyle for both men and women. Head over now and check them out for yourself! Have you taken a look at the site? If so, what are your favorite items? Disclosure: This product was sent to me to review by JORD Watches. However, the content and opinions expressed here are all my own.